Together Europe can stamp out the illegal wildlife trade. Let's act now before it is too late. Illegal wildlife trafficking endangers not only biodiversity, but also sustainable development, livelihoods and the rule of law. Half of the Earth's wildlife has been lost in the past 40 years! We have to react now to revert this catastrophic trend. I was delighted to host the Born Free Exhibition in the European Parliament. It is vitally important that we keep the issues of illegal trade of wild animals as a top priority. Europe must make a step forward to protect wildlife and nature. We can't afford to lose our biodiversity. 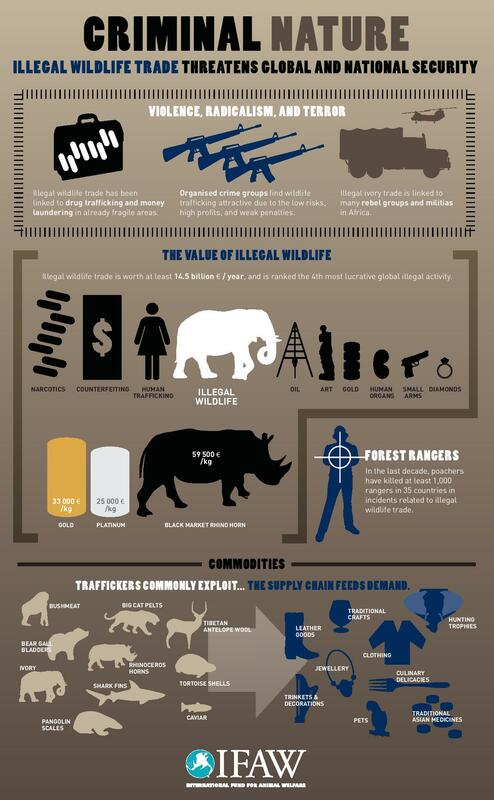 Illegal wildlife trade is a serious threat even for the global security. We need effective solutions to fight it and we need it now.